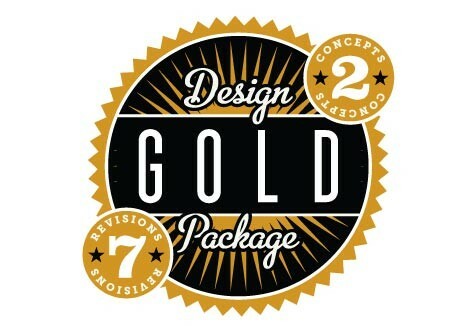 A GOLD DESIGN PACKAGE offers two design concepts with custom art for each and up to seven revisions total. This is the right package if you have two related signs that need designing. For example you may need a two-post entry sign for your business plus a related lobby sign. The Gold Design Package allows Danthonia to take your visual theme or brand and tweak it to fit more than one kind of signage application. Alternately - if you are unsure what your sign should look like and would like to be able to see multiple design options and several revisions - this package might be the right one for you. Even our most particular clients are usually satisfied with their sign design before we reach revision number seven. But if you would really like the freedom of three different concepts and unlimited revisions – ask for our Platinum Design Package. "We just mounted our sign and everyone loves it. Even though your company is in Australia, it was like working with someone across the street via email and telephone. You were very responsive; had a mock up in a matter of days. Production was on time as was delivery, with free shipping. The signs are fabulous. They look like wood, but they are a 'sandwich' of high-tech materials. Friends of mine have one that looks brand-new and it is 15 years old with no maintenance. I couldn’t be happier with the results."